Dental crowns are a very versatile dental treatment option. 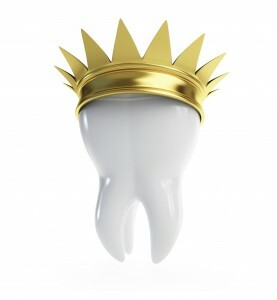 Crowns are custom made caps that cover a tooth entirely, from the chewing surface to the gum line. They are placed over a damaged tooth or dental implant to restore the color, look, shape and size of the damaged or missing tooth. There are many benefits that stem from dental crowns, the following list consists of the top benefits of dental crowns. Natural Looking- Composite resin and porcelain crowns resemble natural teeth because the mimic the translucent properties of natural teeth. Therefore, dental crowns seamlessly blend in with your natural teeth, creating the illusion of a healthy, bright smile. Durable- Dental crowns typically last between 15-30 years, but how long they last ultimately relies on how well you care for the crown. In other words, you should practice proper oral hygiene and avoid bad habits to ensure that your dental crowns lasts. Don’t Slip- Unlike dentures, which may slip and slide, crowns stay in place because they are either cemented over a tooth or implant, or anchored in place with a bridge to replace a missing tooth. Comfort- Dental crowns are a great choice over alternative dental treatments, such as dentures or dental bridges, which can cause pain or discomfort because they sit on top of your gums and jawbone. 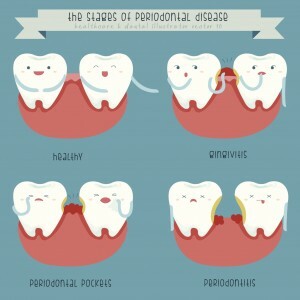 Dental crowns, on the other hand, are stable and will not irritate your gums or cause discomfort. Increases Confidence- Having damaged or missing teeth can make some people feel less confident and self-conscious about their smile. Restoring teeth with dental crowns can help increase a patient’s overall confidence. Improved Speech- Having missing teeth or dentures that don’t fit just right can affect your speech, causing your speech to sound slurred or lisped. In addition, missing teeth can cause jaw bone deterioration. Restoring your damaged or missing teeth with dental crowns can help you speak more confidently. If you’re interested in restoring your damaged or missing teeth with dental crowns, contact Dr. James Yankowskas in Tyngsboro, MA at 978-649-7773 to schedule a consultation today or visit www.tyngsborocosmeticdentist.com for additional information.